Today was the first day this year I’ve taken my camera for a wander round Liverpool at lunch time. I’d originally taken it in because there was some really atmospheric mist when I got up in the morning and I was hoping it would still be around later. By lunch it had all burnt off. So I went for a wander in glorious sunshine instead and took this shot of the Bluecoat. 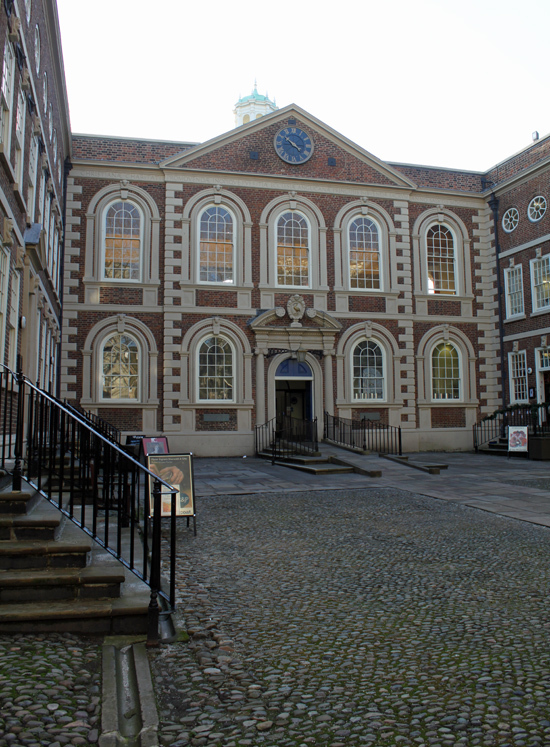 The Bluecoat is the oldest building in Liverpool city centre. A former school it now houses a gallery, a variety of art and craft shops, a café, a bistro and various bits not open to the public where creative organisations.